I love how the internet is just jam-packed with inspiration from manufacturers & designers today...it really is a scrapbooker's dream! 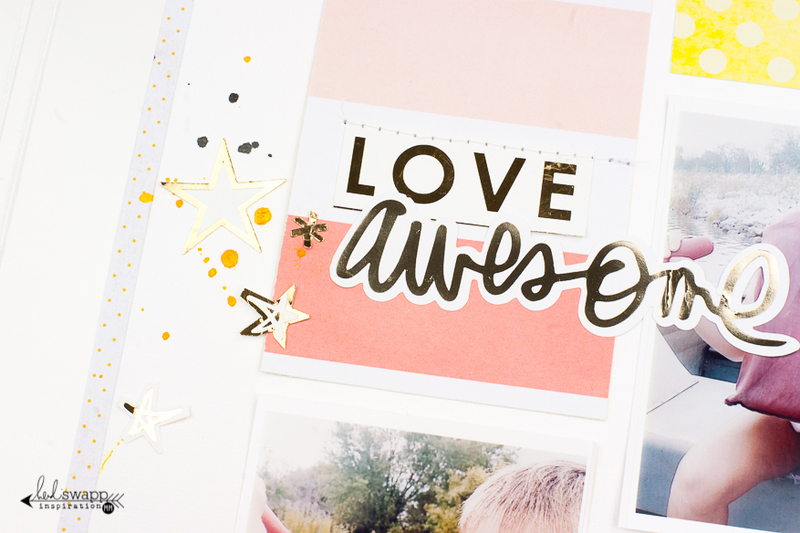 Here are a few pages I put together this week using items from Heidi Swapp...I LOVE all these foiled accents! But man, are they hard to photograph! (smile). 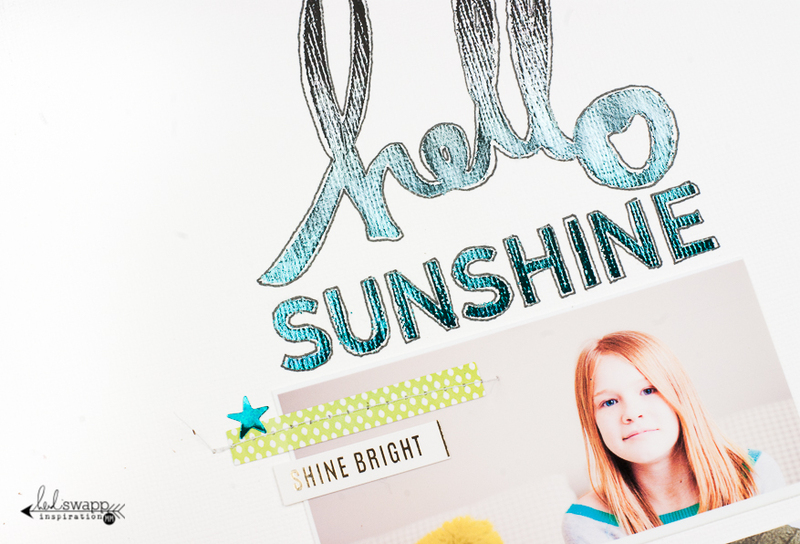 For this page I used Heidi's brand new Reactive Art Screen Ink and Teal/Silver Ombre foil to create my title. 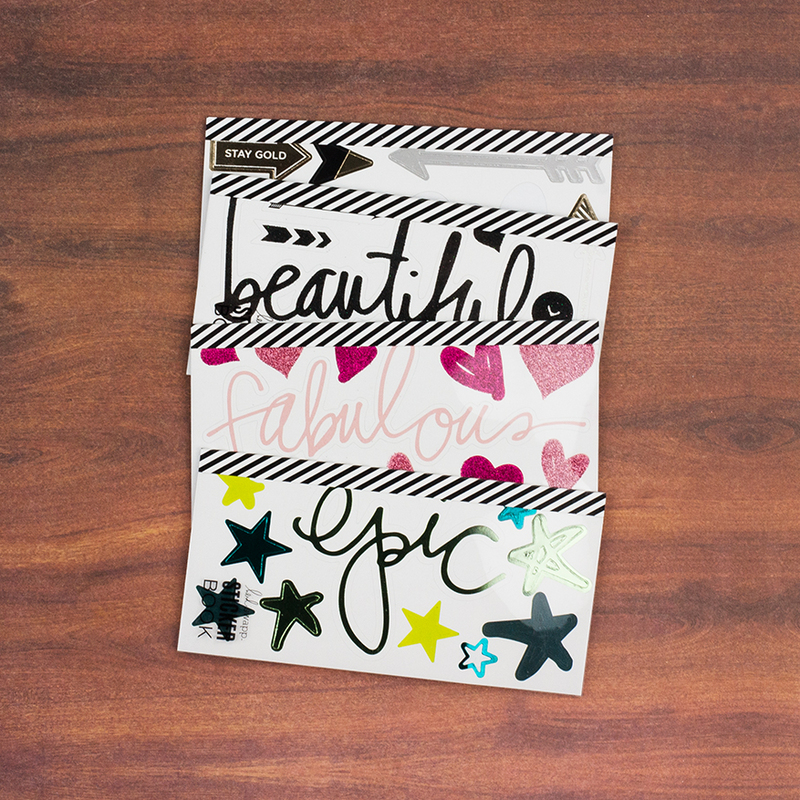 The paper is from Heidi's Memory Planner 2016 12x12 Paper Pad and the stickers are from the new Heidi Swapp Instax Collection at Michaels Stores. That ombre is seriously the coolest! On this layout, again, I used patterned paper from the Memory Planner pad and embellishments from both the new Instax Collection and one of Heidi's new sticker sets (also available at Michaels Stores). I love creating with these sticker packs! They are color coordinated, so you simply have to pick the book that goes with the colors on your project and you're set!